It's hard to find the right gift for anybody, but teens are worse. They change their mind every moment and of course if it's not 'cool' it's BAD. Teen boys are perhaps the worst: after all, they will generally (please prove me wrong below) be as inarticulate about what they want as their adult counter parts. Yes, buying men presents is tough too, thankfully, that's not the topic of this post. Let's get to it: what DO you get a teen boy for Christmas? Is he starting to be independent? Get him a travel bag! Somewhere between 15 and 18 years old teenagers stop wanting to go on holiday (or anywhere really) with their parents. 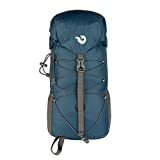 If your teen boy is getting there, a travel bag or backpack is just the gift to give and show them you do understand! They may not realize it, but if you get them a backpack it will be easier on their backs. Your kid is probably still growing, so it's no luxury. That back will have to last them a lifetime after all. Grooming time? Help him shave! These days it seems it's cool to sport a beard. However, when those downy first hairs are coming up on your teens face, it still looks best to shave them off. After all, it will take ages for that down to turn into a respectable beard. As in years. Personally I'm partial to the Galaxy Tab line of tablets: everything is just good enough without breaking the bank. The android system allows for customizing, so if your teen should turn out to be the next Steve Jobs this tablet won't stop him in his tracks. I've featured the 8 inch version because it's the best of the set. For some reason Samsung left out key features, like Multi-window support, from the 7 and 10.1 inch Tab3. 8 inch is also large enough for comfortable reading, but small enough to take anywhere. In other words: just right. Electronic gadgets and gizmos for teenagers make great gift ideas for the holidays and their birthdays. Sports are cool in high school - and if they get into those exercise habits now, they're more likely to keep them up as adults. So whether it's basketball, football or golf: give them something that will stimulate that interest. Wilson, NCAA Composite Youth Size Football is made of composite leather. It has a great performing durable cover that provides better grip and feel for the serious competitor. They may be growing up fast, but they're still boys. Teen boys are in fact likely to continue to love things that fly, move by themselves, have anything to do with cars etc. RC Helicopters are cool for most men and boys - whatever their age. Let them play, shall we? Music: most teens love it! Is there one teen out there that doesn't want to close themselves off from the world with just the right music on their headphones? If there are, they've escaped my notice. The right set of headphones - classy and yet with good sound - is essential for teen survival, it seems. 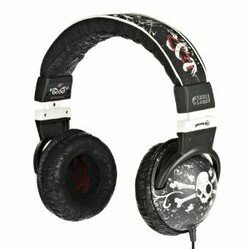 Skullcandy combines cool with affordable and therefore makes a great gift for any teen boy. What to put in that stocking?